Is everyone enjoying back to school?! I am but boy is first grade a transition! Who knew!? All of a sudden I am setting my alarm for the crack of dawn, signing forms like it’s my job, scheduling and rescheduling, checking homework, checking in with teachers, driving, picking up, making breakfast, packing lunches, scraping together dinners…busting baths, books and bedtime….just to do it all over again tomorrow! I know I’m in a learning curve that will even out once this all becomes my new norm. But I guess I didn’t realize…1st grade is SERIOUS. Anyways, we have one last hurrah this weekend – big-timing it at…Great Wolf Lodge. I think the kids are going to love it, we’ve never been. So this one goes out to all the mamas out there who are hustling to make it all happen. Make sure you treat yourself too. Even if that means going full fat coconut milk in your coffee this weekend. You deserve it girl. Bringing you all the savings and treats this weekend! I’ll be adding to this post as the deals roll in so bookmark it can check back daily. For now, this is what you can score for less! My Green Mattress is where clean meets affordable! You can read all about my experience here. This weekend they are discounting their nontoxic mattresses by $150 BUT! Use TOG175 to save a little more. 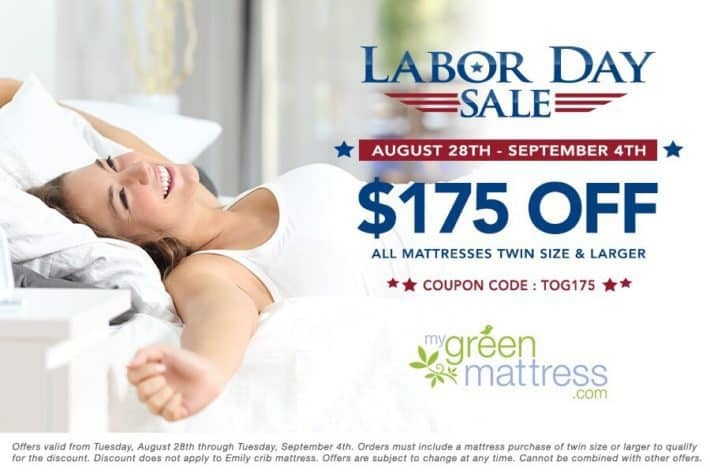 TOG175 will save you $175 on any My Green Mattress twin or larger beginning Tuesday 8/28 at midnight – Tuesday 9/4 at 11:59pm. Save $105 on this Berkey bundle. We have a Berkey at home that we use to filter all of our cooking and drinking water. I would be lost without this workhorse! Get 100% grassfed + finished ground beef FOR FREE, FOR LIFE! Everything comes frozen on dry ice and is super fresh. The meats have a beautiful color and they taste AMAZING! If you’ve been thinking of trying ButcherBox, girl. NOW IS YOUR CHANCE! 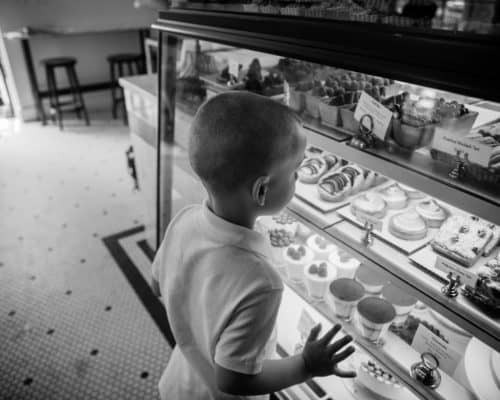 I see your future and it looks like 100% grass fed meatballs, tacos, spaghetti sauce, burgers…all FOR FREE. Offer valid now through 9/31 – Sign up for ButcherBox here! This is what I use to clean everything! It’s a nontoxic EPA registered disinfectant that kills 99.9% of germs & viruses including Norovirus, Salmonella, Staph, MRSA, Influenza A & Listeria. And it uses just salt, water and vinegar to get the job done! 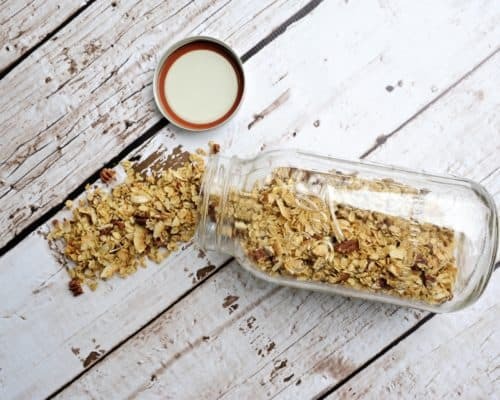 It comes in a kit so you batch your own. It’s really easy to make and refills only cost .80! Holla! Now through 8/31 use code YAYSCHOOL to save 50% off starter kits and get free shipping! You can check out my experience with Force of Nature here! And shop Force of Nature here! 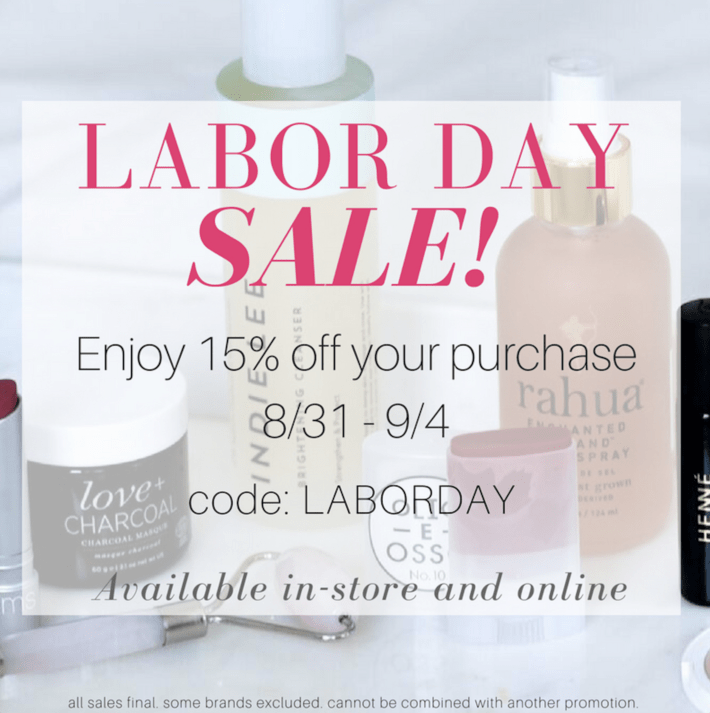 15% off 8/31 – 9/4. Some brands excluded. I am in love with these Olio E Osso balms! Just a hint of color – perfect for cheeks and lips. Doubles as a highlighter with its dewy finish. I like them all but No. 6 is my go-to. Shop Aillea here! 20% off all store purchases with code GOODBYESUMMER + free shipping over $39! Does not include subscriptions or gift cards. 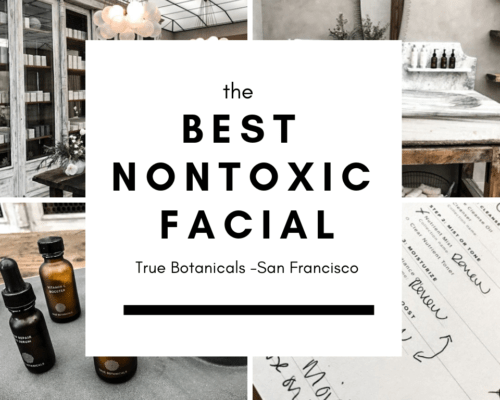 I have a high budget and a low budget option for one of my favorite face treatments. These are both very similar and will give you a light exfoliation and leave you GLOWING! I use either of these like every morning! LILFOX Jungle Glow Rainforest Honey Enzyme Cleanser + Mask is $75 but on sale for $60! Luna Glowing Mask is $30 but on sale for $24! 25% off site wide. Starts August 31, 2018. Ends at midnight on September 4th. Shop Au Naturale here! 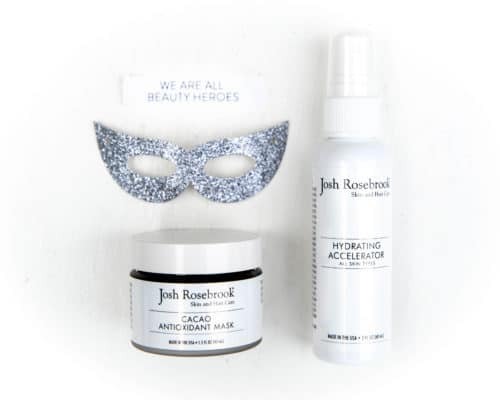 Free shipping Friday 8/31 – Monday 9/3 with code (coming) – Shop Beauty Heroes! Product will not show up in cart but code will display at checkout. Offer valid with any product/products in the shop as long as the order totals $50+ prior to shipping. Limited quantity, one per customer, and no other discount codes will be applicable. Shop The Choosy Chick here! Psst! I HIGHLY recommend the Inika Organic Vegan Long Lash Mascara and the Inika Organic BB Cream! My everyday! Get a free OSEA Atmosphere Protection Cream ($48) with any $125 purchase – this week only! Go big and take home this – one of my favorite masks! 25% off store wide with code LDAY18 – now through 9/4/18. Excludes samples, gift sets and sets. 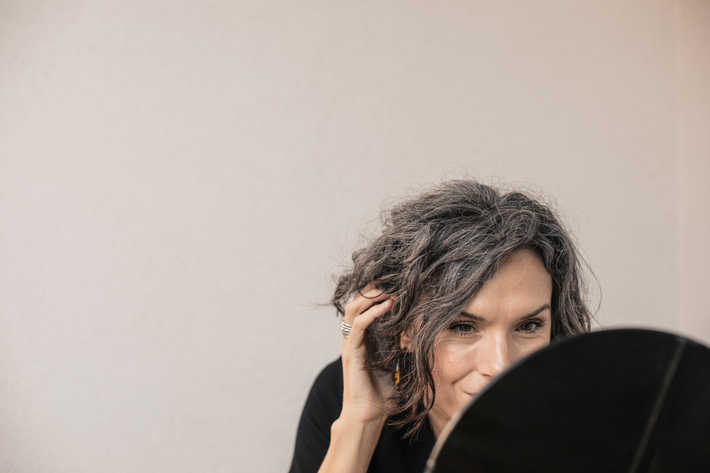 Shop Hynt Beauty here! 15% off all individual serums and elixirs Friday through Monday! Use code LABORYAY – One word: get her Mermaid Mask! Shop Leahlani here! 20% off 8/31 – 9/3 with code INDIANSUMMER18 – Get Aknari Brightening Youth Serum (face moisturizer) – it’s one of my top three! Shop MŪN here! Free Algae mask ($48) with your purchase of $125 or more! Thursday 8/30 at 12pm PST through Monday 9/3 11:59pm PST. 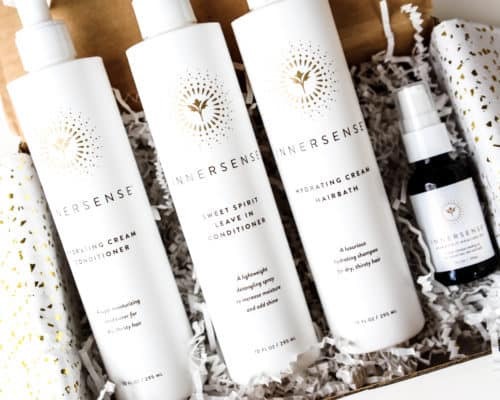 I love their Ocean Cleanser – Shop OSEA! Offering 15% off Thursday through Monday on all orders over $50 with code LaborDay – plus this free gift (below) for orders over $125 (no code needed). 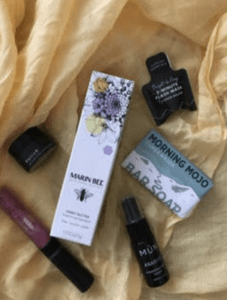 Gift includes: MUN deluxe travel toner, Marin Bee Body Butter, full size Au Naturale Lip Gloss in Tickled Pink, Ursa Major travel bar soap, Ursa Major Flash Mask Sample and Beneath your Mask Body Polish. Shop Pretty Pure here! PS, check out the clean skincare line that changed my skin! 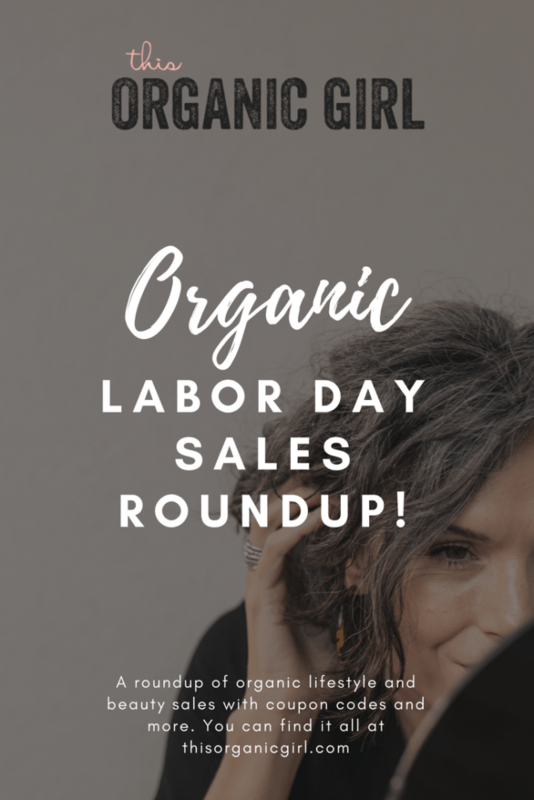 PSS, check out Gurl Gone Green’s Labor Day Sale Roundup too for even more deals on natural living!